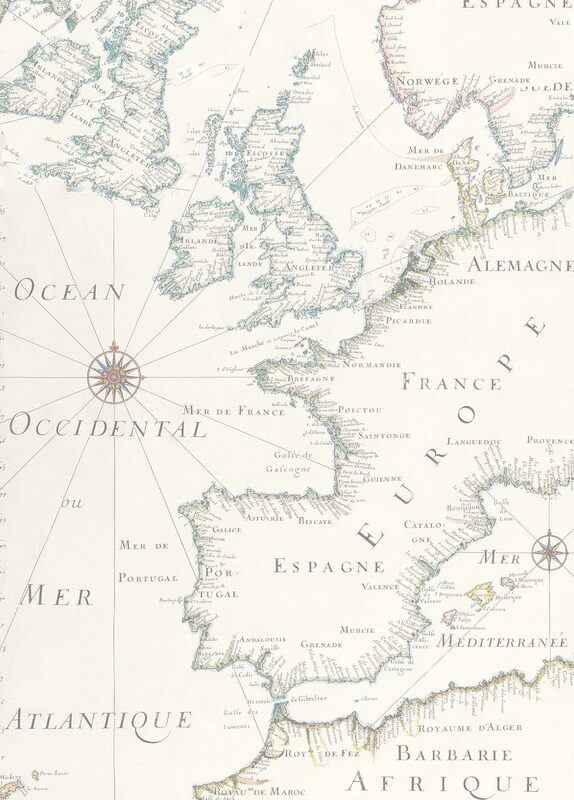 From the Steppes to the Caucasus, from the Kremlin to Crimea, Troika Balalaikas brings you music from the heart of the vast Russian continent. This unique ensemble performs on balalaikas ranging from small to enormous, the ancient gusli, and an assortment of authentic percussion. 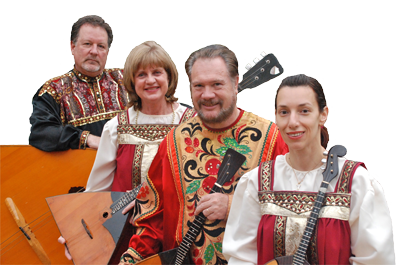 Traditionally dressed in brightly-colored costumes and singing in Russian, Ukrainian and Romany, the ensemble recreates a sense of Old World history and the spirited excitement of Russian folk melodies and rhythms. 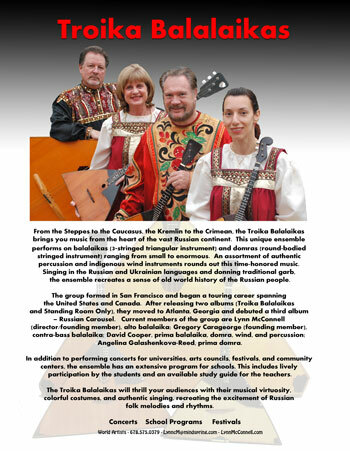 Embarking on their twentieth concert season after many successful tours of the United States and Canada and the completion of two albums, Troika Balalaikas is available for concerts, school residencies and festivals. Troika plus Dancers-- a superb combination! Hear a sample of Troika Balalaikas in the superior sound quality of MP-3. Download time should only be from a few seconds to a minute or so, depending on your connection speed. Excerpts from the new CD "Russian Carousel"
The recordings of Troika Balalaikas are available for sale, including the new CD "Russian Carousel". 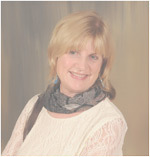 Click HERE for all the info.